Mandharagiri (Basadi betta), is a picturesque small hillock with jain temple near tumkur. Located opposite to Bangalore-Tumkur highway and 65 km away from bangalore, you can see an entrance arch in the main road stating the name 'Mandaragiri' and going by this way you can reach to a small village, Panditanahalli. Little distance from this place leads you to the bottom of the hill.You can park you vehicles at the bottom of Basadi Betta, and you can see a Mutt nearby. Ensure that to get the keys of the temple from the priest in case he is not coming with you towards top. Once you reach top of the hill after climbing 435 steps, you are welcomed by the main door of the temple. After entering the main door now you are in a huge courtyard in the midst of four temples, two temples are dedicated to Bhagawan Chandranatha and one each one for Parshwanatha as well as Suparshwanatha. The idols are simple but wonderful. You can spend a while at Basadi Betta; rest and get pleasure from the cool breeze blowing via the many aisles of the mantapas. The far-away hills as well as the rocky landscape with small puddles present a lovely view. There is one more surprise when you open the rare door of the temple complex. You can see a beautiful lake called Mydala Kere down below the hill. Bangalore --- Dabaspet -- after 10km take right turn near Arch -- Mandargiri base. 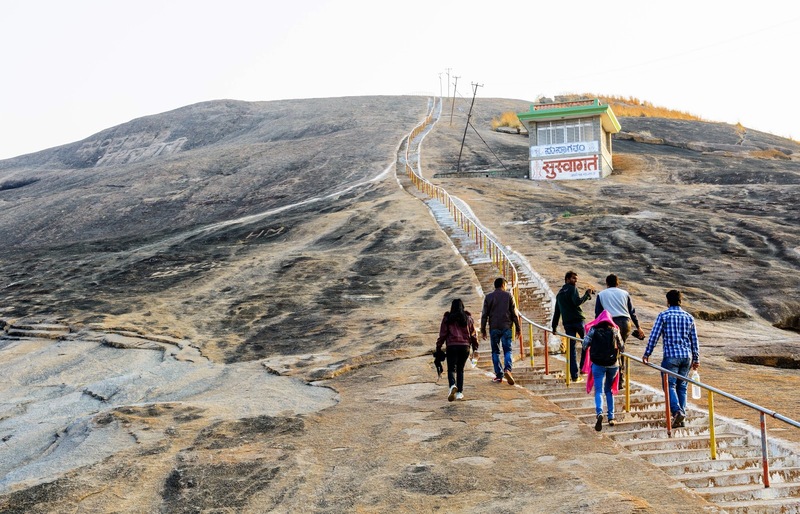 Near by places: Mydala kere, Devarayanadurga (DD Hills), Madhugiri, Nijagalbetta Trekking.